Join us in Milwaukee for Audubon’s biennial convention designed to bring together Audubon’s vast network of dedicated chapter, state, center, national, and international leaders from across all four flyways. This can’t-miss event will feature an array of inspiring speakers, in-depth workshops and discussions, exciting field trips, and the camaraderie and networking opportunities that only the Audubon Convention can provide. 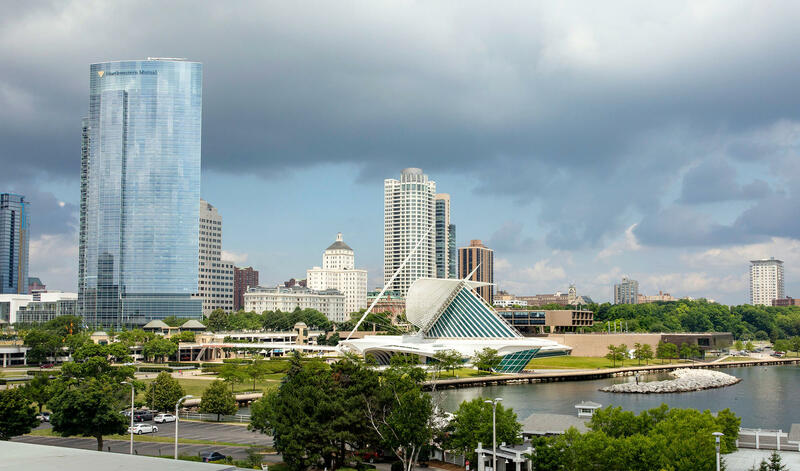 Situated on Lake Michigan, Milwaukee is a beautiful and historic place to gather, learn, and network. The Wisconsin Audubon Council, Milwaukee Audubon Society, Schlitz Audubon Nature Center, and the Audubon Great Lakes team are excited to welcome the whole Audubon network to Milwaukee. The Saturday Dinner, the Thursday Field Trips and Monday Field Trips are optional and will incur an additional cost. Please visit www.audubonconvention.org to view session description and presenters. If submitted in writing on or before Sunday, June 30th, refunds for the conference registration will be refunded less a $50 administration fee. No refunds will be issued after June 30th. The conference registration is transferable and substitutions are allowed with no penalty. Please contact Pam Nicholls at convention@audubon.org for any questions and to submit a refund request. Looking for more information? Click on the "Registration Fees" and "FAQs" button on the top of this page.